If living in your home feels somewhat like a war zone because of bad allergies no matter what room you are in, then you might want to take a few preventive measures to control the dust mites and other allergens. You might wake up with a scratchy throat without feeling completely sick, or you might be sneezing room to room, and your eyes may water the second you sit down on your furniture. 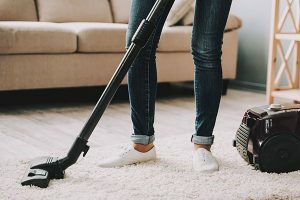 Cleaning up your house can help a great deal in reducing allergens, and with a few tricks and tips, you can start feeling better almost right away. While the fact that dust mites live and thrive in our bedding, rugs, and pillows is extremely disturbing to think about, confronting this information can help homeowners work to keep their existence to a minimum. If you stop to consider the amount of time you spend in your bedroom, you will want to go the extra mile in reducing allergens in there. Wash your bedding, blankets, pillows, cases, and any throw rugs you might have in your bedroom at least once a week in hot water. Running these items in at least 130-degree hot water will kill the dust mites. You can also encase your bedding in allergen-proof covers. One of the best things you can do to reduce allergens in your home is to vacuum on a regular basis. Yes, vacuuming is a chore that most of us dread, but if you have terrible allergies you’ll be doing yourself a favor. Vacuuming isn’t effective if you aren’t equipping your vacuum with a HEPA filter, a filter designed to grab even the smallest allergy-inducing particles in the air and on surfaces. Target areas that accumulate the most dust like carpeted rooms and even your furniture. If you truly despise vacuuming, consider getting a robot vacuum to do the job for you. 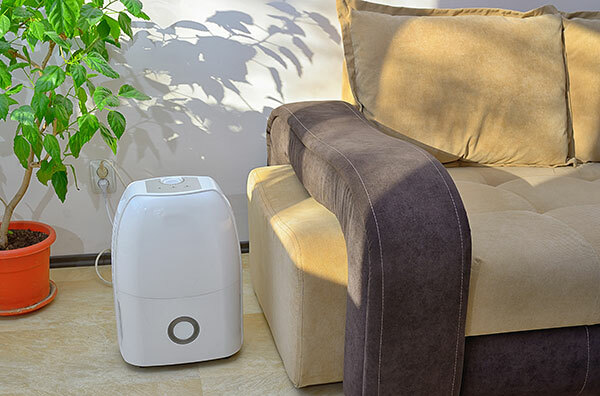 High-efficiency particulate air (HEPA) filters are specially designed for to eradicate your home of pollen, dust mites, and pest residue that regular filters cannot capture. These tiny particles are likely one of the leading causes of your indoor sneezing, itchy eyes, and scratchy throat. Consider using HEPA filters everywhere you can if you suffer from allergies, like your air conditioner, air purifiers, and especially your vacuum. Vacuuming can be a double-edged sword if you aren’t using a HEPA filter and you could be at risk in blowing more allergens into the air. If you’re in an older home with equally aged windows, then you might want to think about an upgrade. Newer windows can ensure that pollen and other seasonal allergens are kept out of your home, allowing you to rely on purer air conditioning in these hotter months. Older windows are drafty and fail to make a seal, so even if they are shut you could still be exposed to allergens making their way inside. Even if you’re following the entire allergy reducing protocol, old drafty windows will set you back in your efforts. Invest in energy efficient windows to keep allergens out and your heat or air conditioning in. If you’re a fan of souvenirs and other nick-nacks on your shelves, they might be the cause of your allergies. Small items like these that litter the house collect dust, and with dust come mites. As much as you want to display items like these throughout your home, it’s a good idea to de-clutter. Your alternative is to dust them every day or at the very least, a few times throughout the week. Hung and done, that’s the motto most people have when it comes to their curtains. After spending weeks on picking out the right fabric and pattern, curtains are usually hung and forgotten. Most people don’t realize the amount of dust that curtains can accumulate, which is why throwing them in the washer every once and a while on a hot water cycle will drastically cut down on dust mites and other allergens they’ve collected. More importantly, if you’re thinking about getting curtains, get ones that are designed to reduce allergens and can be washed easily. Moisture can be an issue for allergies and can create the perfect environment for mold and mildew to thrive. Think about what areas of your home are more prone to moisture than others—your kitchen, the bathroom, and the basement. 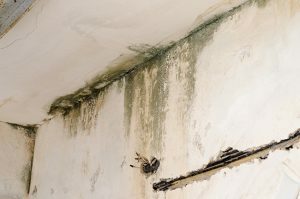 Mold and mildew love to grow in dark areas with moisture, but if you add in a dehumidifier or an exhaust fan, you can uproot this issue with relative ease. Vent out steam from the kitchen, the shower, and excess moisture in the basement and this will cut down on your allergy issues in no time. It’s not comforting to think about whatever bugs or mice are scattering through your house, but if you have bad allergies, this could be the source of your problems. Residue from cockroaches, mice, and other critters can aggravate your allergies among other issues, such as dirtying up your home, leaving feces in unsuspecting areas, and chewing on wires or contaminating foods. Not to mention that these pests are also known to carry germs and diseases. Stopping pests can be inexpensive and simple with a few humane traps you can purchase at your local hardware store. You can also help the situation by sealing up cracks and other possible forms of entry. 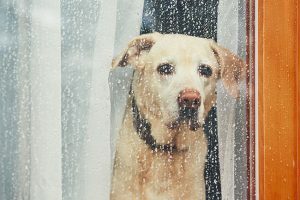 You don’t have to re-home your pet but you should note that their dander and shedding might be contributing to your allergy flare-ups. If you are a dog owner, have your dog groomed to control shedding around the house. For cat owners, keep up on brushing their fur and vacuum in the areas they like to sprawl out in. 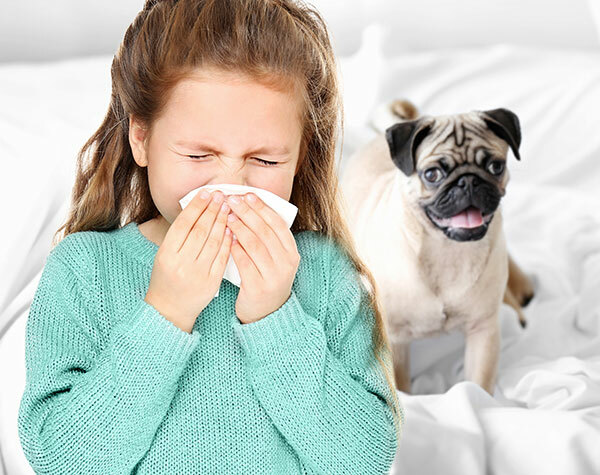 Wash pet towels, toys, and their bed often because pet allergens stick to surfaces more so than other forms of allergens do. Keep pets out of the bedroom if you find that the dander is causing an upset to your allergies. So long as you keep on a routine in cleaning your home, changing bedding and other coverings, vacuuming, dusting, and ensuring the use of HEPA filters, your allergies can be kept under control. If you are curious as to what your allergies entail, see your doctor and have an allergy test conducted to be sure. Your home should be a place of comfort, not an allergen ridden disaster zone! Maintaining these routines will help keep allergens in your home at a minimum. You can even go the extra mile by not having overstuffed furniture, wall-to-wall carpeting, fabric couches or chairs (opt for leather instead), or by wearing a mask when you clean. the number of houseplants you own, using humidity monitors and resisting the urge to run your shower for a while before jumping in. Little things like these tricks can drastically reduce allergens, and while it all seems overwhelming at first, you can tackle them one at a time. As you learned in this article, allergies may creep their way in your home if your windows are drafty or not airtight. To ensure that they’re kept out of your home, it’s a great idea to invest in energy efficient windows. At Feldco Springfield, we manufacture windows with durable vinyl that’s guaranteed to keep pollen and allergies out. Speak to a product specialist and get a free quote today.